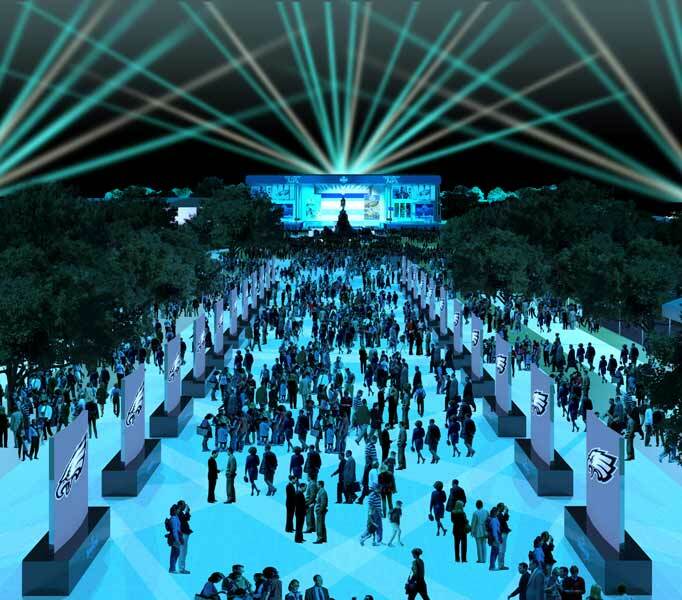 PHILADELPHIA (WPVI) -- As construction of the NFL Draft stage continues, the league has released more images showing what the Ben Franklin Parkway will look like during draft week. Here's a bird's eye view of the Parkway! Welcome to the NFL Draft! The NFL Draft Theater is being constructed outside for the first time. 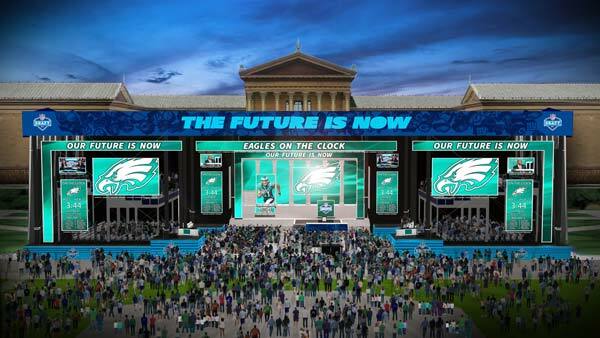 The steps of the Philadelphia Museum of Art will be where the draft picks will be called. 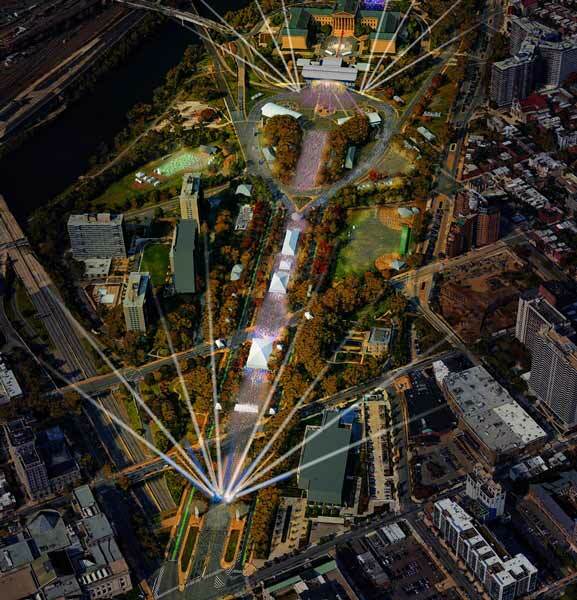 When the lights go down in the City of Brotherly Love, here's what the NFL Draft setup will look like. 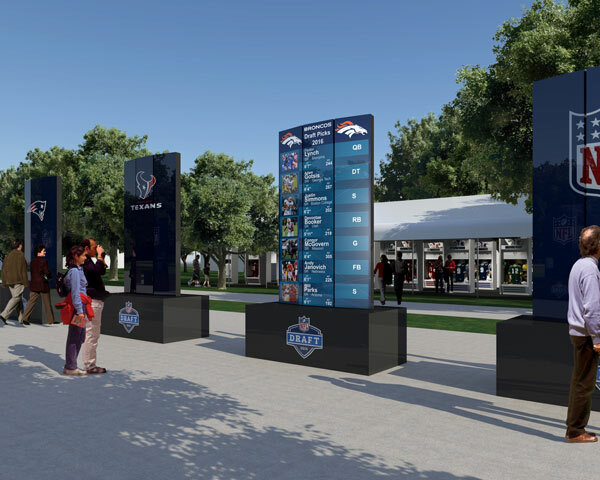 At the NFL Draft Experience, fans can visit electronic pillars with team information. 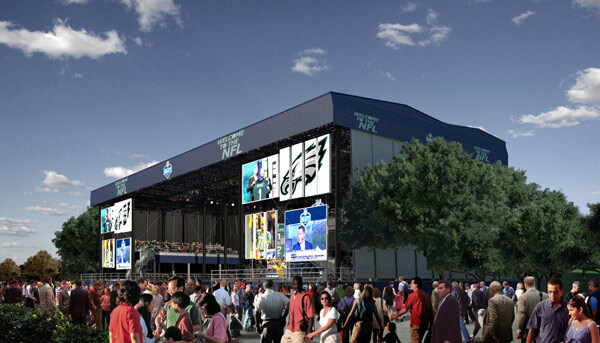 The Combine Corner is part of the NFL Draft Experience, which the NFL describes as an expansive, interactive Draft celebration along the Benjamin Franklin Parkway that is free to the public and open all three days of the Draft. 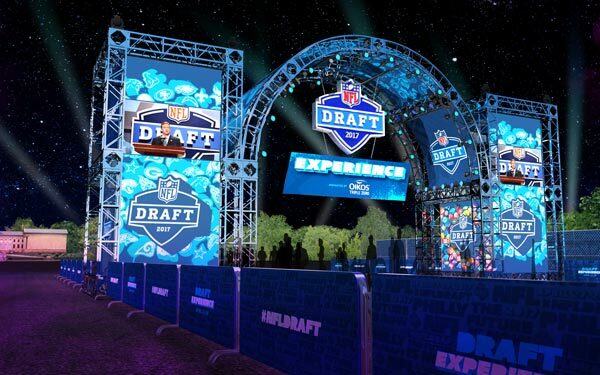 NFL Draft Experience will feature interactive elements, flag football competitions, concessions, player appearances/autographs, a Super Bowl Museum and more. In the Combine, there is the Vertical Jump FMP: "Jump as high as you can and hit the corresponding flag to discover your vertical reach just like at the NFL Scouting Combine," the NFL says. 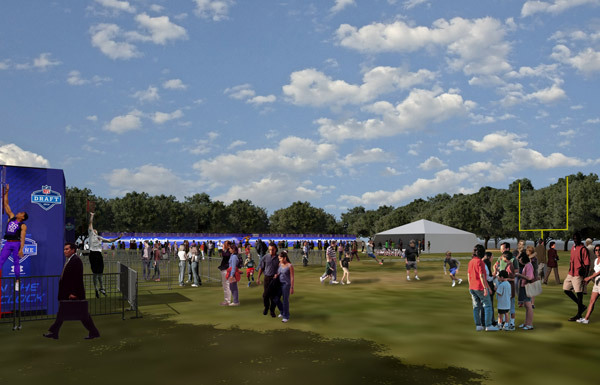 And there's also the 40-Yard Dash FMP: "Race down the field against your opponents and digital NFL players on a giant 40-yard long LED wall," the NFL says. When it's time for pick #14, the Philadelphia Eagles will be on the clock! For full NFL Draft coverage, visit 6abc.com/NFLDraft.